Free decorative vector art patterns pack with geometric shapes. Different circles and geometric retro style repeating patterns in this background pack. 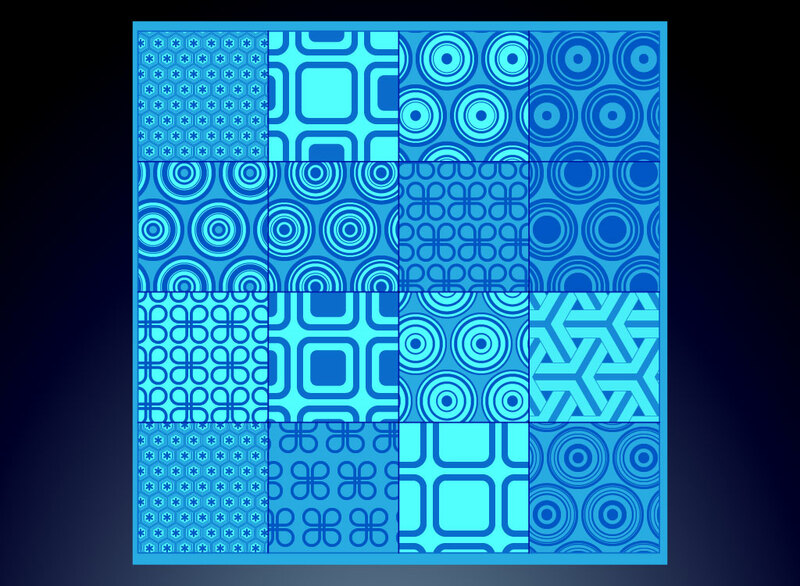 Circles, rounded squares, interlocking shapes and more in these cool seamless backgrounds. Tags: Circle, Decorative, Modern, Ornament, Pattern, Repetitive, Textile, Vintage.